The pro-level Fox Racing F3R Boots are a huge upgrade over their predecessors, the F3 boots. 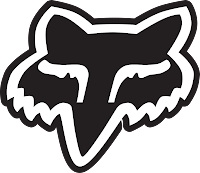 There were a few major complaints regarding the F3s and Fox Racing addressed them in spades when they came out with their newest race-level boot. Huge issues were addressed, such as high levels of discomfort and extra-long break in time, in addition to problems stemming from the size of the toe box. Fox took all of these things into consideration in the R+D of the F3R and the results are noticeable from the first time you put the boot on. of protection from impact to say the least. Another big issue with the F3 was the height of the toe box as riders complained it was too big and therefore made it difficult to get true shifter lever feel. That is no longer an issue as the toe box has been lowered a full 12 millimeters. At the bottom, the Duratrak Outsole provides improved durability and then etched design allows for easy interfacing with the foot pegs no matter the position of the foot. The white colored midsole that you can see is a vibration dampening material designed for comfort and protection. The entire sole can be replaced as well which is a pretty huge deal since soles wear out over time while the chassis of the boot may still be in good shape. A cobbler can remove the metal toe cap and replace the sole for you. A longevity extender, no doubt. The closure system is a cam-lock inspired aluminum Pivot Lock buckle system that is extremely strong and secure for optimized support. The entire medial lower part of the boot, including a panel that wraps up to the toe box, is a grooved design that is extremely high grip. At the upper medial boot, there is a large suede heat shield to protect from the pipes. The nicest part here being the fact that this panel wraps over top and into the boot, so there is no weak seam along the entry that could easily come apart. Also at the boot entry is a rubberized panel that securely grips onto MX pants. As always, the details are what really shine through in any technical piece of apparel and the F3R boots are glutted with nuanced creature comforts. Check out the competition by visiting our Motocross Boots section at RevZilla.com.